This is Bleach, Volume 1 special Collector's Edition featuring premium packaging! Color art available for the first time! Larger trim size and hardcover with dust jacket. New cover art on the dust jacket and the original cover art on the hardcover. Printed endpapers and higher quality paper stock for better image quality. Hot-tempered 15-year-old Ichigo Kurosaki, the hero of the popular fantasy-adventureBleach, has the unsettling ability to see spirits who are unable to rest in peace. His sixth sense leads him to Rukia, a Soul Reaper who destroysHollows (soul-devouring monsters) and ensures the deceased find repose with the Soul Society. When she's injured in battle, Rukia transfers her sword and much of her power to Ichigo, whose spiritual energy makes him a formidable substitute Soul Reaper. But the orange-haired teenager isn't sure he wants the job: too many risks and moral dilemmas. 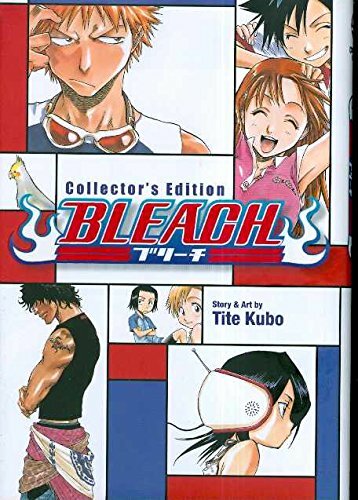 Bleach is author Tite Kubo's second title. Kubo made his debut withZombiePowder, a four-volume series for Weekly Shonen Jump. To date, Bleach has been translated into numerous languages and has also inspired an animated TV series that began airing in Japan in 2004. 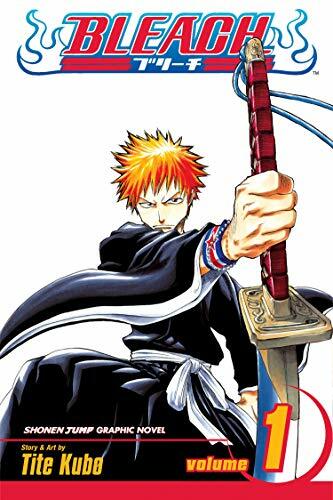 Beginning its serialization in 2001, Bleach is still a mainstay in the pages of Weekly Shonen Jump. In 2005,Bleach was awarded the prestigious Shogakukan Manga Award in the shonen (boys) category.